Sgt. 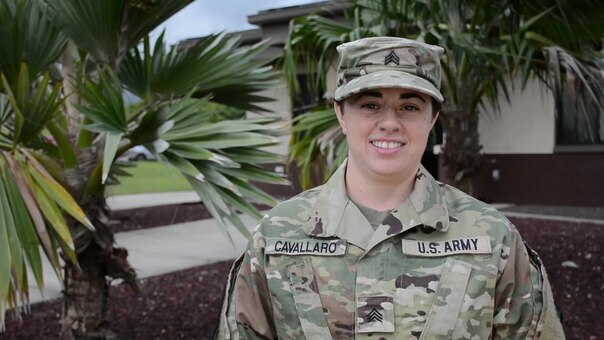 Bianca Cavallaro, assigned to Headquarters and Headquarters Company (HHC), 500th Military Intelligence Brigade-Theater, gives a shout-out to her family and friends for the holidays. This work, Sgt. Bianca Cavallaro-GMA, by SSG Shameeka Stanley, identified by DVIDS, must comply with the restrictions shown on https://www.dvidshub.net/about/copyright.